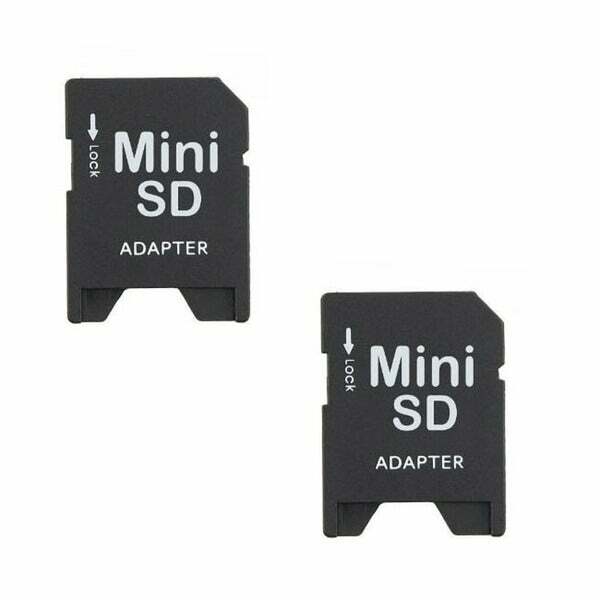 SDSDM-128 BRN 128MB 11p MiniSD Mini Secure Digital Card w o Adapter Bulk RFB.. Easily transfer among devices: Use your extended memory capabilities to transfer your images music and data between your phone and miniSD flash memory-enabled device regardless of the miniSD format. Converts your microSD..
UDF120-1GB-KO BTO 1GB USB 2.0 FlashDrive r24MB s w14MB s [Alcor+SDK] Rectangular Swivel Black Silver in White Box..
UDF182-1GB-LI BTO 1GB USB 2.0 Flash Drive r15MBs w4MB s Rectangular with Cap Silver in White Box..
UDF120-1GB-KO BTO 1GB USB 2.0 FlashDrive r14MB s w4MB s [Alcor+MIC] Rectangular Swivel Black Silver in White Box..
S256T BRO 256MB 11p MiniSD Mini Secure Digital Card..
UDF120-2GB-KO BTP 2GB USB 2.0 FlashDrive r17MB s w8MB s Rectangular Swivel Black Silver in White Box..
UDF182-2GB-KO BTP 2GB USB 2.0 FlashDrive r19MB s w5MB s Rectangular with cap Silver Bulk in White Box..
UDF120-2GB-LI BTP 2GB USB 2.0 FlashDrive r13MBs w4MB s Rectangular Swivel Black Silver in White Box..
UDF120-2GB-LI BTP 2GB USB 2.0 FlashDrive r17MBs w8MBs Rectangular Swivel Black Silver in White Box..
512MB USB 2.0 Flash Drive credit card style up to 10MB s Read and 3MB s Write speeds for Mac and PC 5V self powered Plug and Play- Hot Swappable- external media- portable drive 87mm x 55mm x 6mm flat plastic design - minimum orde..
RP-SD032B BQH 32MB 9p SD Secure Digital Card Bulk New..
SDSDJ-32MB BQH 32MB 9p SD Rainbow SanDisk Label Secure Digital Card Bulk RFB..
SDSDJ-32MB BQH 32MB 9p SD Red Light Blue Blue Sandisk Label Secure Digital Card Bulk RFB..
32MB SD 9-pin up to 12MB s Read and 4 MB s Write speeds 2.7V to 3.3V voltage support 24mm x 32mm x 2.1mm SD Secure Digital Card for digital cameras video cameras media players and other flash devices..
Kingston Digital DataTraveler SE9 8GB USB 2.0 (DTSE9H 8GBZET)..
DT100G3 16GB MAE 16GB USB 3.1 Flash Drive r40MB s w10MB s DataTraveler 100 G3 Black Retail..
128MB Sandisk Memory Stick Pro Duo 10-pin 8MB per second transfer rate 2.7V to 3.6V voltage support 31mm x 20mm x 1.6mm for digital cameras video cameras media players and other flash devices..
SDMSPD-128 BSE 128MB 10p Memory Stick Pro Duo w o Adapter Bulk..
SDSDQAB-008G CDH 8GB 8p MSDHC Class 4 UHS-1 Edge Micro Secure Digital High Capacity Card w o Adapter Bulk..
Ultra Small Flash Memory card reader 480Mb s USB 2.0 compatible with all CF Compact Flash cards without need for adapter - no external power or battery needed and plugs directly into USB port..
Ultra Small Flash Memory card reader 480Mb s USB 2.0 compatible with all MMC SD SDHC without need for adapter and microSD microSDHC miniSD miniSDHC with adapter - no external power or battery needed and plugs directly into USB po..
USB 2.0 A-Male to A-female Extension Cable Black 3 feet..
4GB USB 2.0 Flash Drive with cap up to 12MB s Read and 4MB s Write speeds for Mac and PC 5V self powered Plug and Play- Hot Swappable- external media- portable drive 70mm x 20mm x 7mm..
2GB USB 2.0 Flash Drive credit card style up to 12MB s Read and 4MB s Write speeds for Mac and PC 5V self powered Plug and Play- Hot Swappable- external media- portable drive 87mm x 55mm x 6mm flat plastic design..